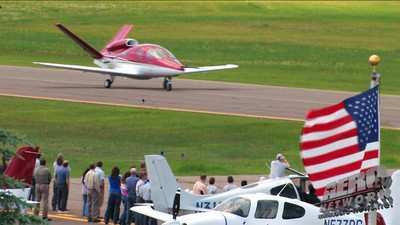 ANN's AEA 2019 LIVE Coverage Archive: www.airborne-live.net -- Don't Miss It! 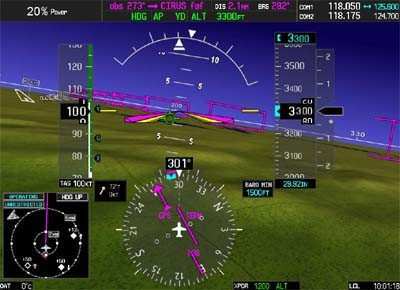 Cirrus Vision To Get Garmin Treatment? 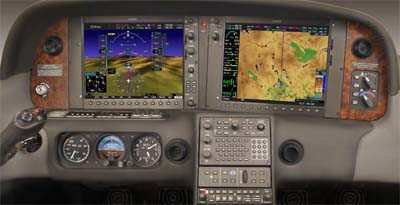 Since the program debuted, there were questions about the three way competition that existed for control of the Cirrus SJ50 Vision cockpit...a race being run by mighty Garmin, a resurgent and aggressive Avidyne, and the talented 'dark horse' L-3 Avionics, which built the flight deck that has been flying on the V-Tailed dream machine since its first flight a few weeks before Oshkosh 2008. Cirrus officials aren't talking and have refused official comments on the rumors, but a solid source (that ANN has named "Deep Snow"), has confirmed to ANN that the decision has been made by Cirrus Design to not only select the Garmin flight deck as the primary avionics supplier for their jet program but that the only prototype currently flying is likely to have a Garmin installation performed "really soon now." The move makes some sense to those familiar with the planemaker... and provides a solid upgrade path from their hottest selling variants of the SR22-G3 airframe, which are equipped with a much upgraded version of the G1000 system, named "Perspective" (shown above), utilizing larger displays, SVS (Synthetic Vision), EVS (Enhanced Vision) and their GFC700 digital autopilot. 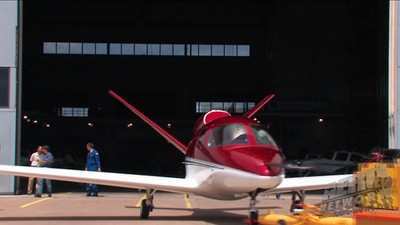 Since a large number of the 500 some jet positions already committed were bought by happy SR22 owners (some of whom are on their third or fourth Cirrus airframe purchase), the alleged ease of an upgrade to the jet, with a familiar cockpit installed, might just be an additional incentive at a time when selling million dollar++ jets is not a game for the faint of heart. ANN is trying to get more info and (hopefully) a confirmation from CD bosses, but so far, no one's talking. We'll keep you informed as soon as know something a mite more concrete. ANNouncement: Now Accepting Applications For Oshkosh 2019 Stringers!! !